Many items in the collections at the Anthony Burgess Foundation reveal Burgess’s connections with other writers. 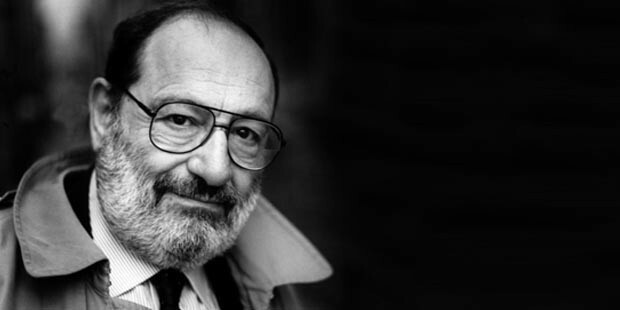 Some of these connections are unexpected, such as his long correspondences with Angela Carter and Shirley Conran, but some, such as his friendship with the Italian novelist and semiologist Umberto Eco, seem to make more sense. Burgess’s and Eco’s careers have many similarities. Both wrote intellectual novels which play with ideas of mediated images, postmodernism, pastiches of genre fiction, and philosophical fiction. They both wrote literary journalism, and became celebrities through their various engagements with the media and the film industry. Burgess knew Eco when they both lived in Italy, and they had similar experiences of teaching in the United States (Burgess at City College New York, Princeton University, and the University of North Carolina at Chapel Hill; Eco at Columbia University and Harvard). In a letter to Burgess, Eco describes his position as a visiting lecturer at American institutions as that of a ‘clericus vagans’. 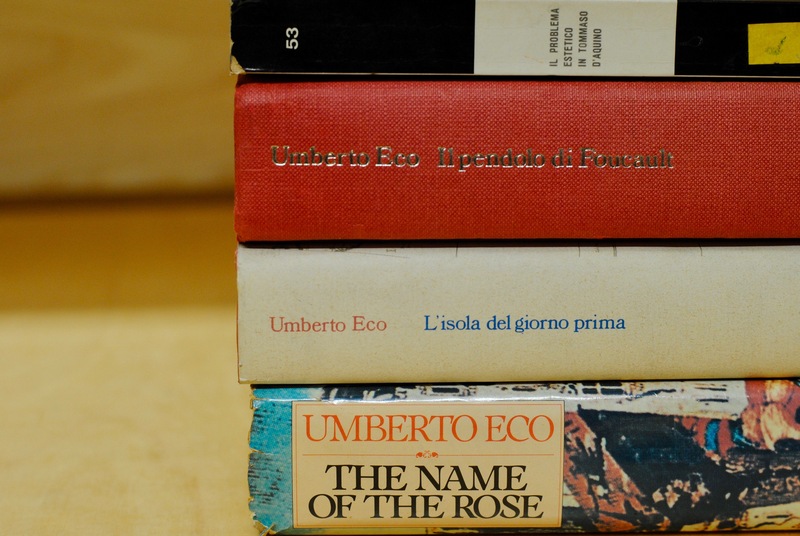 Burgess reviewed the English and Italian editions of Eco’s early novels. He was impressed by The Name of the Rose (1980), and Foucault’s Pendulum (1989). Of the former, set in the Middle Ages, he writes, ‘Even Ulster rednecks, to say nothing of mild Anglicans who detest Christianity cooked with garlic, will feel comforted by this secure age when there was an answer to everything, when a small walled society could be self-sufficient, and the only pollution was diabolic’. Burgess admired the remarkable breadth of Eco’s knowledge. He wrote: ‘No man should know so much’, and claimed that his works of fiction were an extension of his academic writing. Of Foucault’s Pendulum, Burgess writes, ‘It will appeal to readers who have a puritanical tinge – those who think they are vaguely sinning if they are having a good time with a book. To be informed, however, is holy’. Eco also corresponded with Burgess, encouraging him to write the screenplay for Jean-Jacques Annaud’s film version of The Name of the Rose. Burgess had previously worked with Annaud when he invented the prehistoric language for Quest for Fire, but the director chose the writer of that film, Gerard Brach, to script The Name of the Rose. Eco was delighted that Burgess was in line to adapt the novel. He wrote: ‘I hear that there is a chance you will write the English script for the movie. It would be marvellous, but I do not dare hope so’. 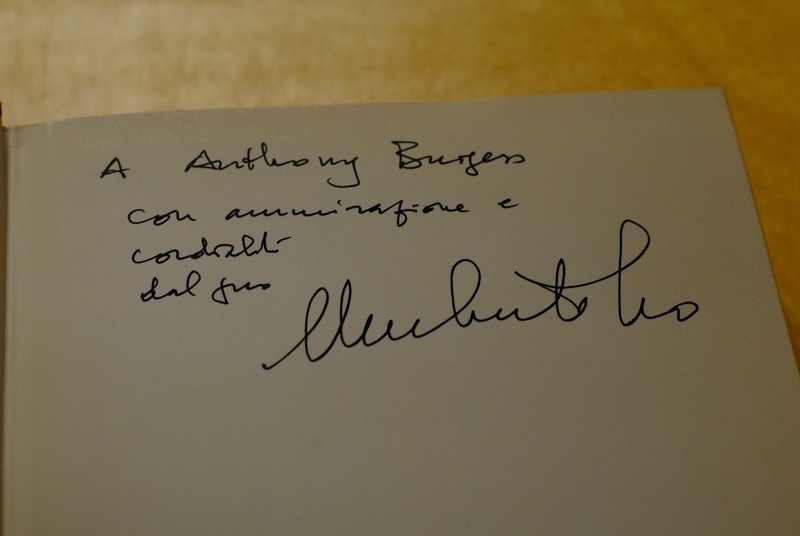 Burgess’s library contains an inscribed first Italian edition of Foucault’s Pendulum (Il Pendolo de Foucault), in which Eco has written: ‘A Anthony Burgess, con ammirazione e cordialità, dal suo Umberto Eco’ (‘To Anthony Burgess, with admiration and best wishes, yours, Umberto Eco’). This volume is one of many books by Eco that Burgess amassed during his lifetime. 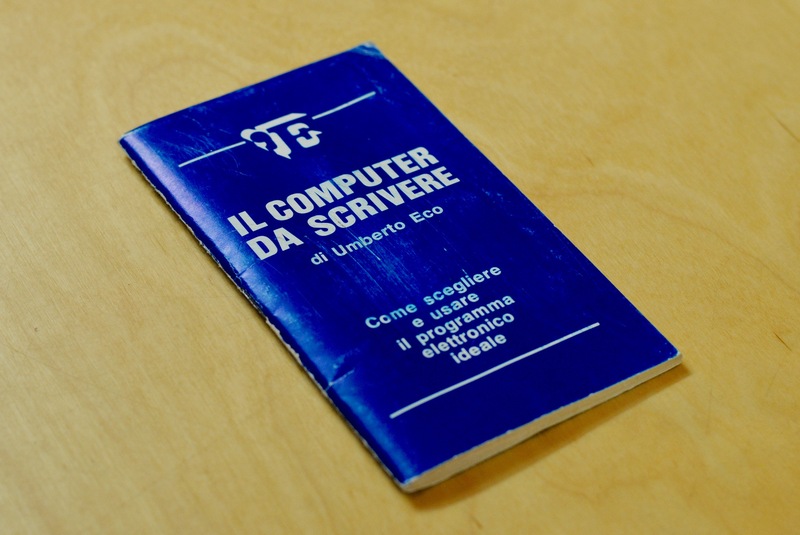 He read Eco in both English and Italian, and he owned some rare volumes, including Eco’s little known (and untranslated) instructional book on word processing, titled Il Computer da Scrivere (1981). This book offers Eco’s advice on ‘how to choose and use the ideal electronic programme’ for word processing, and includes illustrations by Elsa Citeroni. 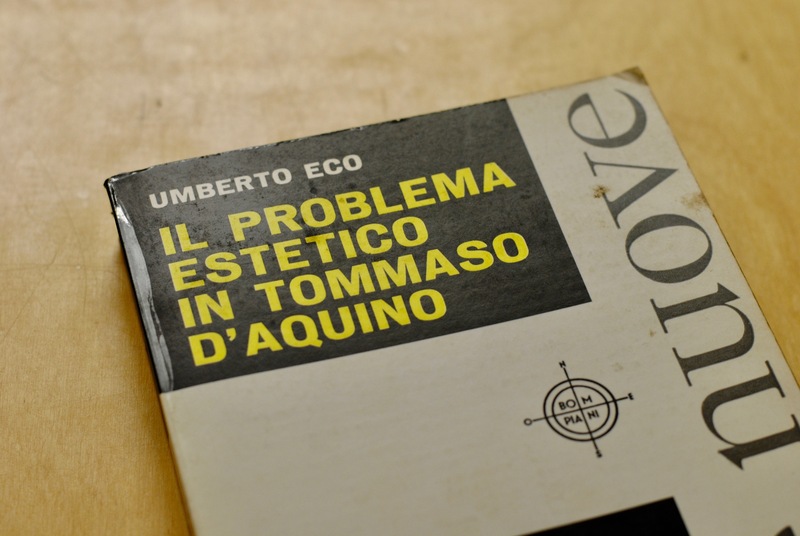 Burgess also owned a copy of Eco’s doctoral thesis, and his first published book, on the aesthetics of Thomas Aquinas (Il Problema Estatico in Tommaso D’Aquino). After Burgess’s death, his widow Liana maintained a correspondence with Eco, which remains in the archive of correspondence. She invited him to give a keynote lecture at the opening of the Burgess Foundation in 2004. Eco was unable to come to Manchester on this occasion, but became an Honorary Patron of the Burgess Foundation and remained so until his death in 2016.